The sign has recently been refurbished and looks wonderful. Has anyone looked into the possibility of getting a team together to refurbish this sign?. Does anyone know why it didn't reopen in 1991 and was torn down. It is a shame they didn't try and find a new owner to keep it going in the 1990's and beyond. Notice. 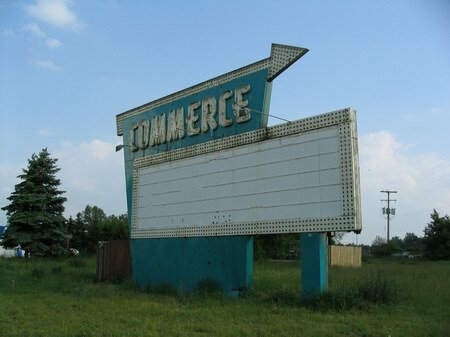 It's Not Too Late to Save the Commerce Drive In Sign ! Every endever to keep a part of history alive across America. started with an idea. 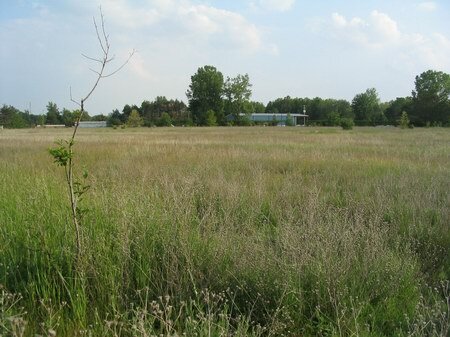 Summer of 2015 is the start the project that may seem a little far fetched to those people in our township that do not realize the significance of this place, most likely because they're not familiar or connected with the experiance of being there. 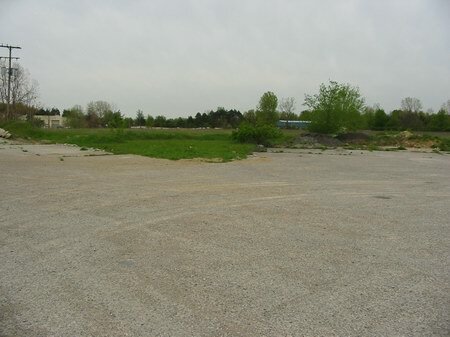 Before the bulldozers arrive in the name of progress we're ready to make the restoration and historical value of the Commerce Drive In Sign become a permanent and lasting memorial site that will not be forgotten. 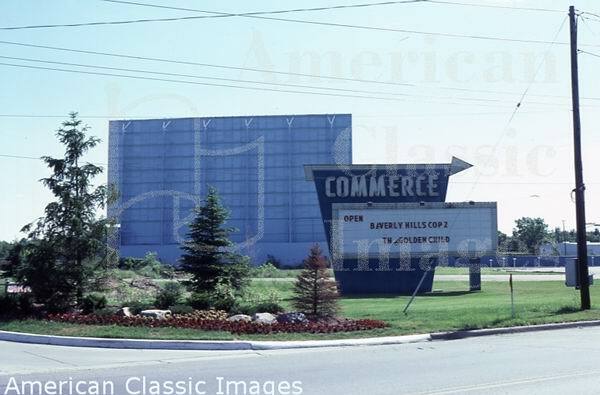 I remember as a very young child driving past the future Commerce Drive-In when it was under construction. the material for the screen tower was there but the screen was not constructed yet. What many may not remember: the color of the screen tower was a rusty orange and yellow checkerboard pattern before it was painted blue in the early 1970s. 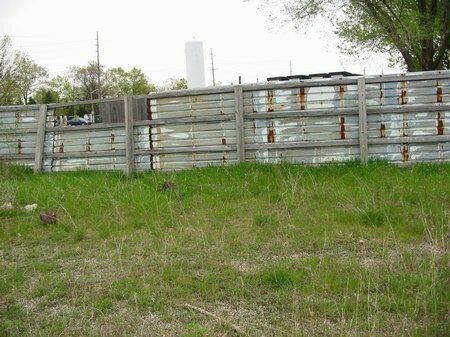 The location of the Commerce was somewhat out of the way, near no major highways, at the south end of 2-lane Union Lake Rd. and the north end of 2-lane Haggerty, and for many years the entrance was not even on the paved portion of Richardson Rd. Conceived as a top-notch modern theater of its day, its location likely prevented it from ever being a major player. 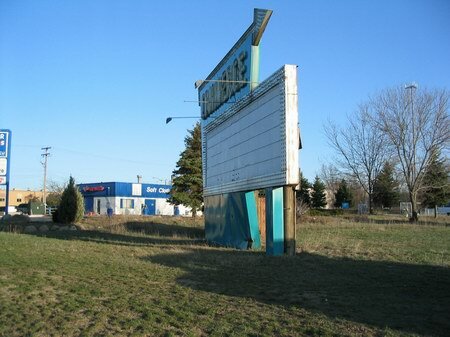 Its large screen and capacity was about double the size of the nearby Walake Drive-In on Maple Rd. , just three miles away. 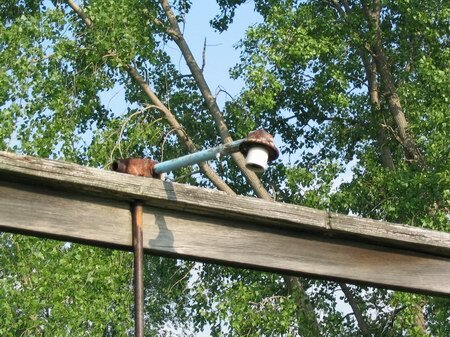 Some unusual features included a playground behind the refreshment stand, and lighted plastic or fiberglass speaker-pole heads, color coded for each row. 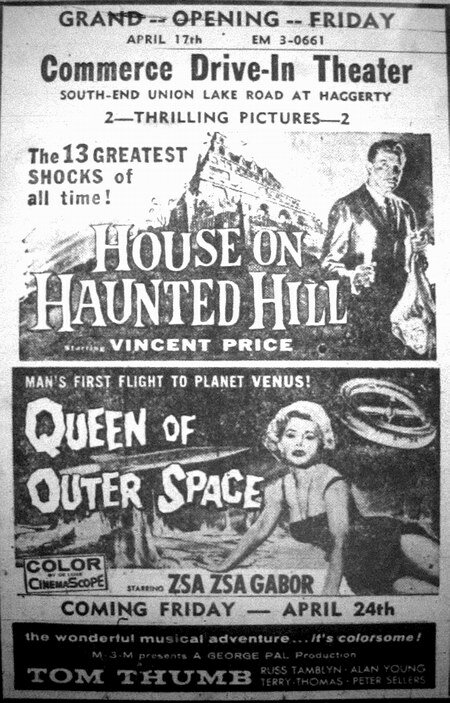 After paying, you entered from the back, which was less common at most area drive-ins. 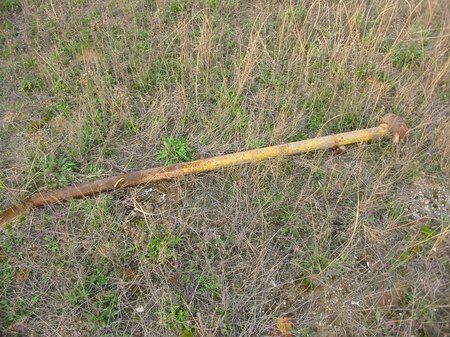 Like the Walake, the very back rows did not actually have speakers on the poles, so the true capacity was likely less than the numbers listed. 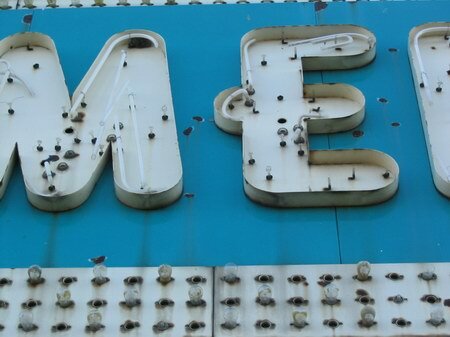 The famous marquee (as shown in the photos below) actually pointed AWAY from the theater up close, but when seen from southbound Union Lake Rd. , it pointed correctly at the screen which you could only see when the leaves were off the trees. In the 1970s, the Commerce added a limited number of in-car heaters, but was usually just open on weekends in the fall and spring off-season. 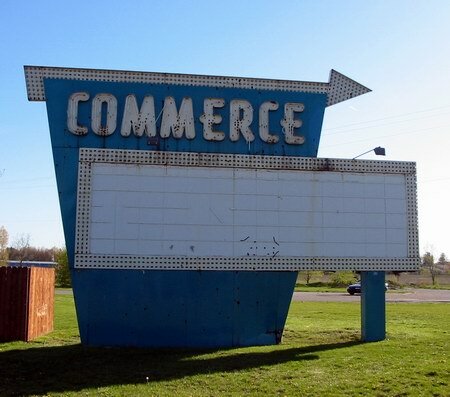 In its final years, the large Commerce screen was also damaged in a wind storm, so the east-most 25% was missing. Perhaps because its days were numbered, the screen was never repaired. (Memorable ad: for the engagement of “North by Northwest”, their ad showed a map with arrows pointing northwesterly up “Northwestern Highway” then up Orchard Lake, Maple, Haggerty, Richardson roads to the theater. 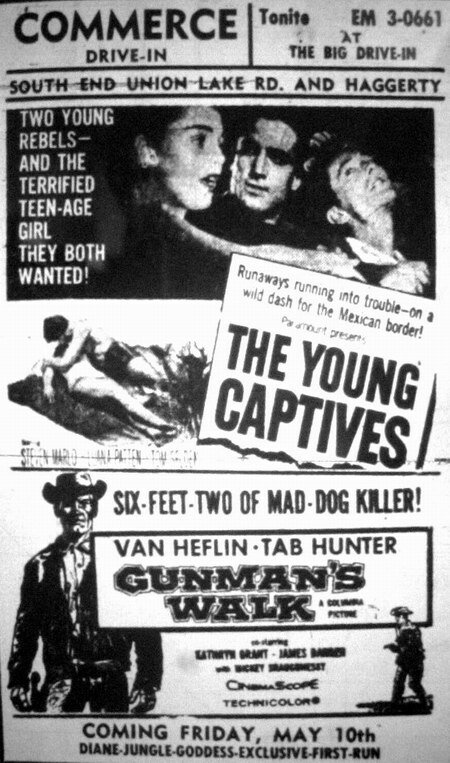 If I could just go back in time to the Commerce Drive-In just one more time with my one-and-only other half. I worked for AMC Theatres in the early 90s. 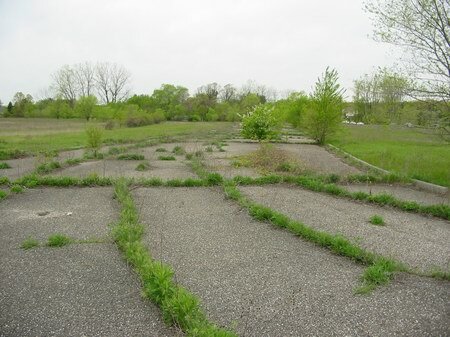 The Commerce drive-in location was being seriously considered for the first 20 in the Detroit area (would have beat Star Southfiled by about a year). 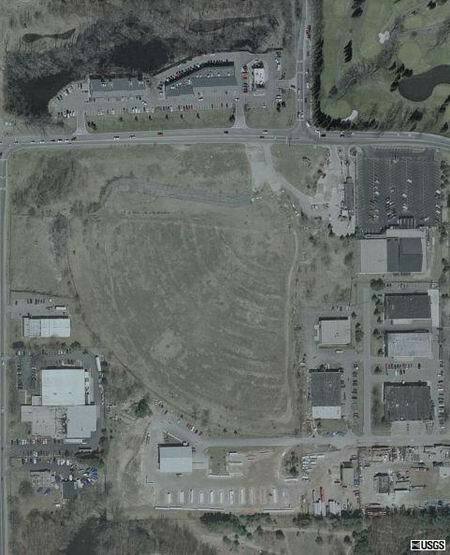 plans were shelved when UA built the Commerce 14 just down the road. 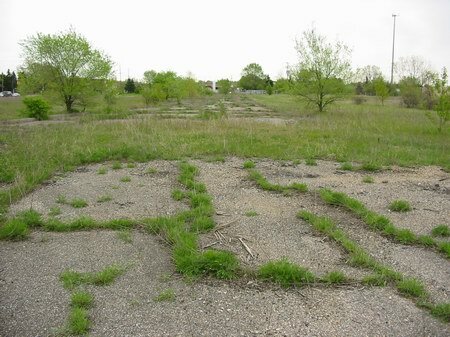 The Detroit market was never a high priority for AMC. My friend works at the car was right beside the sign. Shame the sign is just sitting there rotting. Fresh coat of paint, new light bulbs, revised supports and some rewiring and it would make a great community sign board or something. Its a shame that people don''t value these things more. 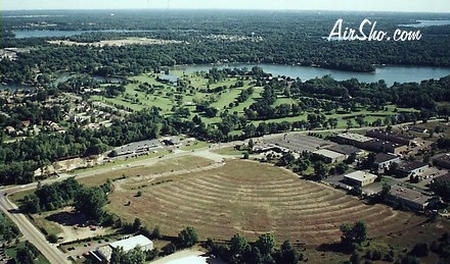 We move to commerce township this summer to 56. 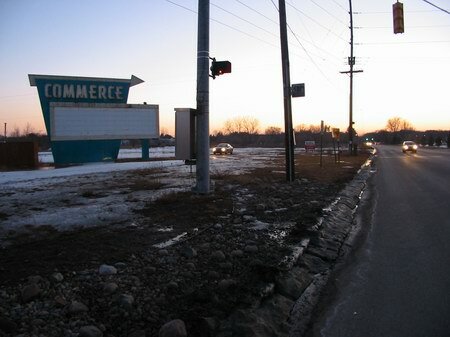 AS my dad designed and built commerce drive in. and then became manager for the owners ,and some of other theaters at that time. he also built and help designed other theaters drive inns south east Michigan. I have fond memories of the drive in. remember seeing in gone with the wind ,and rock around the clock bill Haley and the comments ,also remember Bridget making her big screen first movie back in the fifties. the bad part is I have no souvenirs from the theater never really thought about it. as he was also designer of lot of little things for for drive inns that you take for granted. to drive in was the big thing around their at that time and most of the roads are gravel. some of union lake Richardson Haggerty were paved. 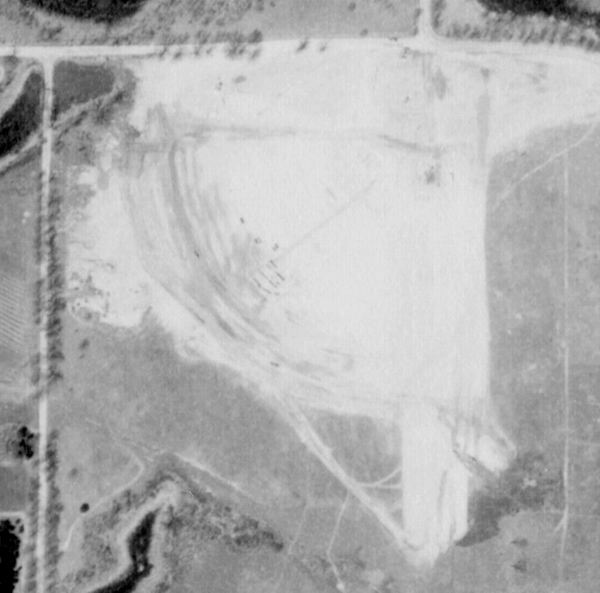 This Drive-In was also owned by Nicholas George Theatres and the land is still owned by them. I use to work at the Shell/ Citgo gas station while in High School about 6 years ago. The owner of the gas station owned the property that the sign of the drive thru was located on. At one point he was going to tear it down until myself and a friend who I also worked with held a protest and gethered about 40 people with signs. We also called the radio stations. And well the sign still stands and I haven't heard anything further about it being removed since!. I remeber so many Saturday nights at the drive-in. My brother and I would wear our pajamas to the Commerce Drive-In. We always had a station wagon and we would sit out on top to watch a kiddie show first. We usually stopped at a local party store on the way for grape or orange pop. I remember the gravel drive and walking to the concession stand during intermission. The clock would be counting down unitl the next movie. Those old pictures brought back a lot of great memories!. 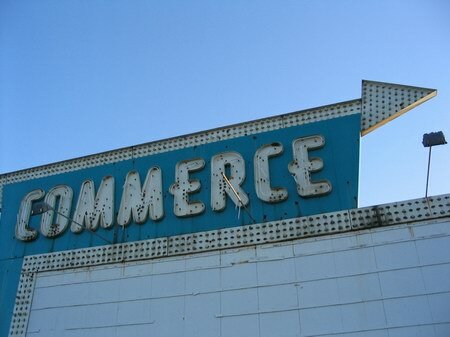 The Commerce was owned by the same gentleman who owned the Pontiac and Waterford drive ins. If Im not mistaken from a former employee of his, he actually owned five drive ins in Oakland County, MI, before closing them between 86 and 87, and relocating to Ohio. That same employee, gave me a pair of drive in speakers upon the closing of the Pontiac, of which I replaced the speakers themselves, and now use for nostalgic surround sound speakers. That was 87. Within a year or two, the Pontiac, was destroyed by arson. I may still have the article somewhere from the Oakland Press. (Chris Arble 8-31-02). 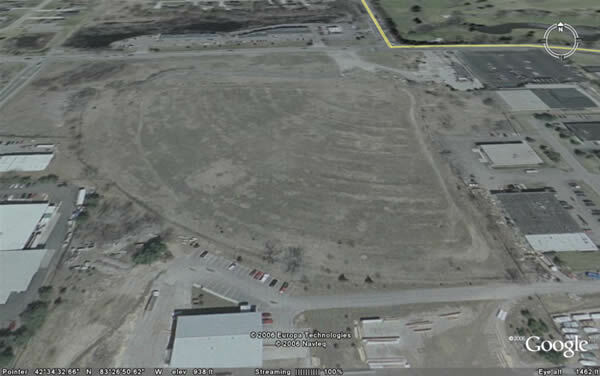 The sign still remains to this day and the parking area is still cleared out but is grass covered now. 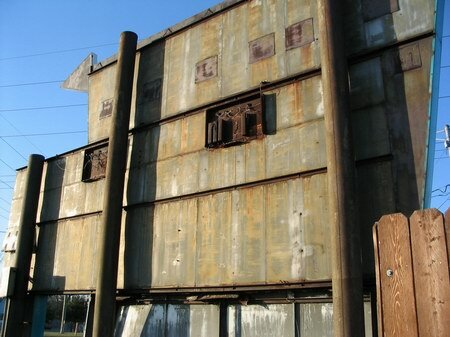 Its in a very busy town and area and many people drive past it daily wishing it was still in operation. Beth.